After cracking down on people drinking in the open, the Delhi government has now decided to build awareness to combat the problem with WhatsApp. Recently the government said people can soon register complaints through WhatsApp. Since November 2016, 1,500 violators have been caught by excise teams. The decision was taken at a review meeting chaired by deputy chief minister Manish Sisodia. Sisodia, who also holds the excise portfolio, had launched the drive on November 7, 2016, contending that consumption of alcohol in the open, particularly near liquor vends and in vehicles, is not merely a safety hazard but a major problem in ensuring women’s security. 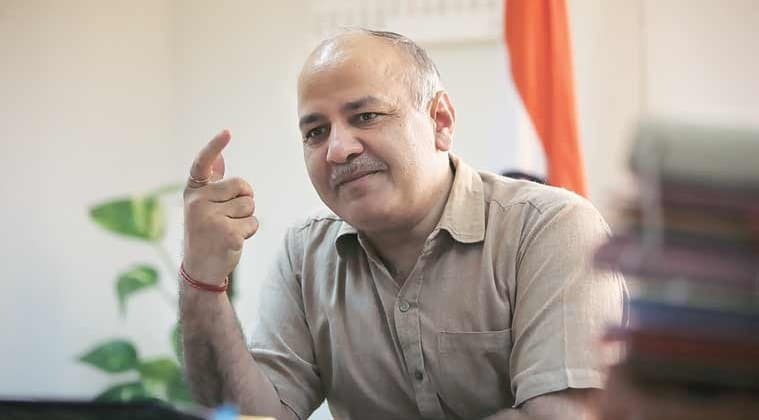 “There has been a decline in cases of people consuming liquor in public places since the launch of drive…the excise department conducted raids, following which over 1,500 violators were caught,” Sisodia tweeted. Drinking in public and creating nuisance attracts a fine of Rs 5,000 and Rs 10,000, respectively, besides an imprisonment of six months. Delhi citizens can now complain on WhatsApp : Manish Sisodia 3.6666666666667 out of 5 based on 6 ratings. 6 user reviews. Manish Sisodiya sir, pls help me. Experience of librarian, warden, and English Teacher. I need your help sir. Hi Mr Manish today I visited in NDMC office the staff of this office are very rural and no educated.we ask how can we change our son name in birth certificate but they told office timing is 9.30 to 12.30 only.and one staff does very bad behaviour with us he told if u don’t know they why u came there.requesting you to please update how can government office timing is 9.30 to 12.30 we were reached in this office from East Delhi patparganj which is very far.. I need to know the right channel to contact as I am facing major issue from one of the delhi school regarding documents.. They are creating irrelvant issues..
As u are related to education department . My daughter has not got selected any of nearly school. Rest all are asking so high fee. Being a girl child there is no such preference. please help in this for nursery admission. I will be thankful to u.